Competition: Dezeen is giving readers the chance to win one of three pairs of ticket packages for the Biennale Interieur 2014 design event, taking place in Belgium this October. Congratulations to the winners! Monica Noordwijk in the Netherlands, Charlie Palmer in the UK and Ove Jacobsen in Germany. They all receive a pair of tickets to Biennale Interieur. Now in its 24th edition, Biennale Interieur will present a showcase of international design, product development and innovation in Kortrijk from 17 to 26 October 2014. Hosted at the Kortrijk Xpo and on the Buda Island in the Belgian city, the festival will feature dedicated design exhibitions, award-winning bars and special product stands. Architecture critic and researcher Joseph Grima is set to curate this year's cultural programme with his Genoa-based design and research collaborative Space Caviar, on Buda Island. Together, they will present SQM: The Home Does not Exist – a specially commissioned investigation into notions of domesticity in the context of an information economy, network culture and "technological saturation". Previous curators of Biennale Interieur include Hong Kong-based designer Michael Young, Italian architect Gio Ponti and German industrial designer Dieter Rams. Dezeen are media partners for Biennale Interieur 2014 and will be bringing you all the latest news from the event and the awards. An integral part of the event is the Interieur Awards, which give young designers and architects an opportunity to present new projects in front of the festival while competing for cash prizes under two specific categories. In the Object category designers were briefed to create a product that will improve daily life, while those entering the Spaces category were tasked with designing one of the many bars to be installed at next year's Biennale Interieur. Elsewhere at the festival, exhibitors will include furniture makers Lago and Piure, stretched ceiling specialist Barrisol, and design brand Alessi, which will showcase an A to Z exhibition illustrating the genesis of some of its best-known products. Furniture producer Durlet will exhibit a special stand designed by Belgian architects Govaert & Vanhoutte, featuring a roof structure that combines "fluidity, efficiency and a sophisticated material choice." 50 Audi cars will provide visitors with a free shuttle service between the various Biennale destinations in Kortrijk Xpo and the town centre. Competition winners will receive a pair of two-day entrance tickets to Interieur, plus hotel accommodation and VIP admission to the Architonic Disco. Travel to Kortrijk is not included. A limited number of Biennale Interieur 2014 travel packages are available to buy now. Seismic shifts in society, technology and the economy mean that today's design industry operates within a fundamentally different context and extremely little has been done to investigate the causes of this situation. Therefore, Biennale Interieur 2014 launches a research-driven programme that reframes the role of design in contemporary living and rethinks the design product industry's strategies for the age of network culture. 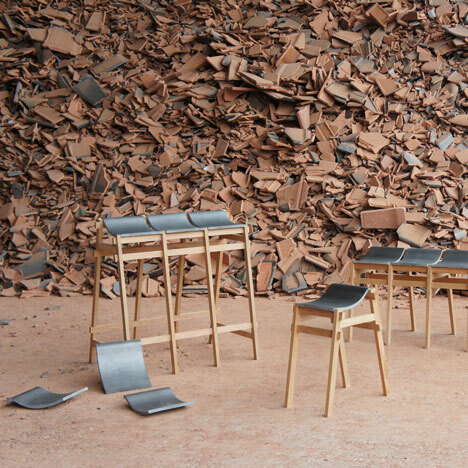 Interieur 2014 and its selected forward-thinking exhibitors are redefining the essence of product presentation. The out-of-the-box scenography of the Biennale Interieur 2014 is literally giving space and visibility to the ideas of its exhibitors. At the centre of each hall in Kortrijk Xpo, visitors will discover an 'agora', an assembly of different and innovative ways to for brands to participate in the Biennale: unique stands, Interieur's new 'plug and play' islands, bars and exhibitions. Together they will create a spacious and surprising landscape. Together with the research project on the domestic sphere as the site of encounter between design and everyday life by curator Joseph Grima (Space Caviar) in the centrally located Rambla, the scenography reflects one of the intentions of the Biennale Interieur 2014: to combine the best, newest and most avant-garde expressions of today's production with an uncompromised reflection on future developments. Encouraged by the successful expansion of the Biennale into the city of Kortrijk in the 2012 edition, Interieur 2014 will organise an integrated city programme with a focus on new designers and cultural projects: an ideal platform to discover, feel and experience contemporary design. The Biennale Interieur 2014 unites Kortrijk Xpo and the city locations in one coherent Design City, which allows for commercial interests and cultural ambitions to strengthen each other. An early overview of the selected international brands of the 24th edition of the Biennale Interieur is now on the Biennale website. To book this travel package visit the simply go to: Interieur website.